LPC Living is a socially-minded property development company specialising in urban regeneration. Based in the North West of England, LPC Living have built in excess of 1,300 homes across the region. 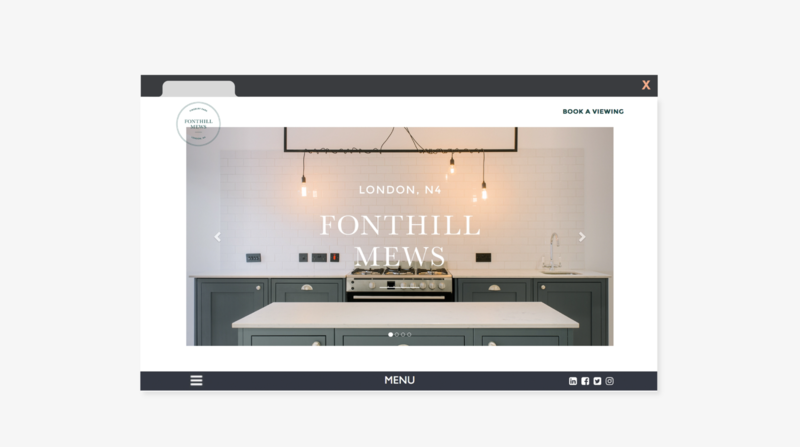 Fonthill Mews is LPC Living's second venture in London. 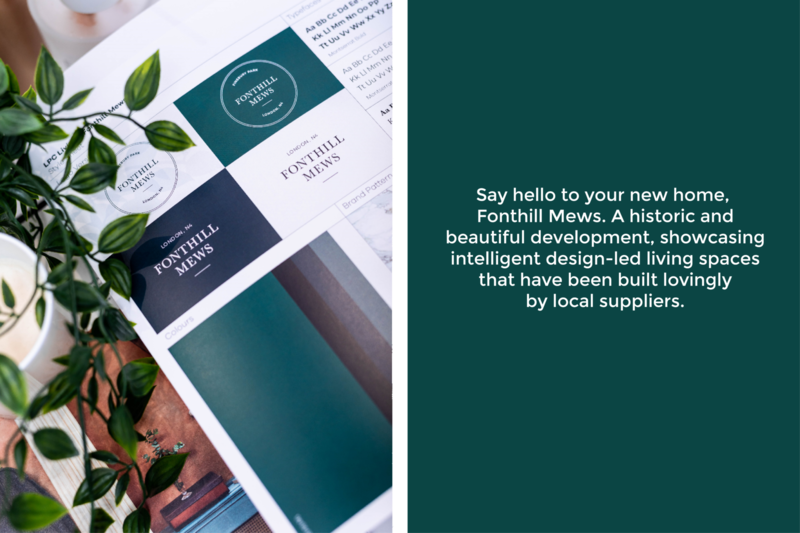 We were asked to create a brand identity and marketing strategy for Fonthill Mews, an incredible collection of design-led homes. The project was a brand new concept, not only for the geographic area it’s situated in, but also for LPC who traditionally build affordable housing and regenerate underused town spaces. The quality of the build, design and finishes meant that LPC wanted to achieve much higher price points than are traditionally found locally. 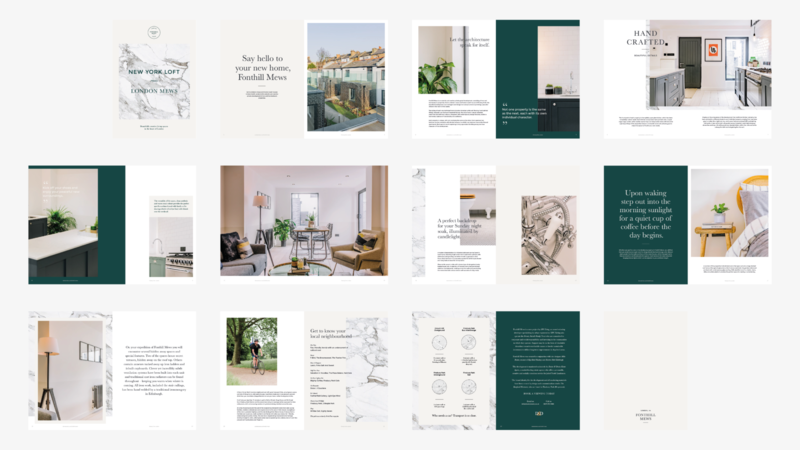 They set us the objective of producing an identity and set of creative advertising assets that would not only position LPC as a premium bespoke property developer in the London market, but also ensure that they achieved their desired sales figures. 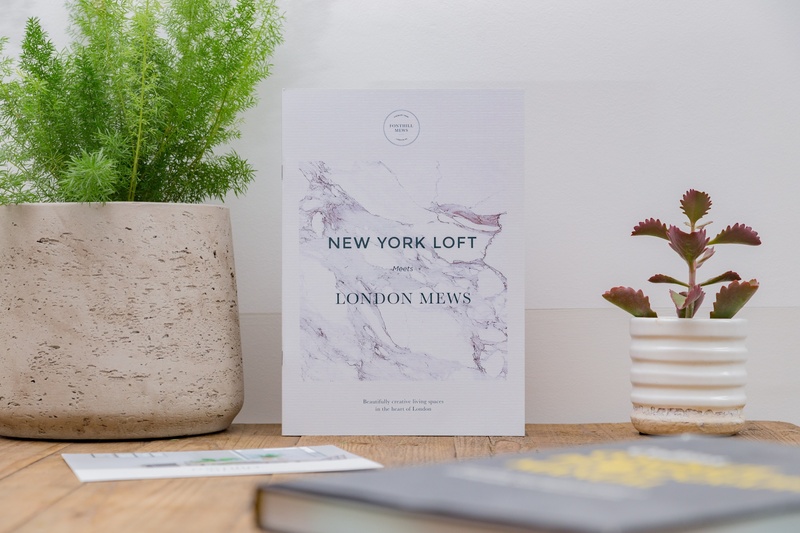 We first devised the slogan ‘New York Loft meets London Mews’ as a reflection of the interior styling and architectural designs of the development and used it as the nucleus of the brand identity. 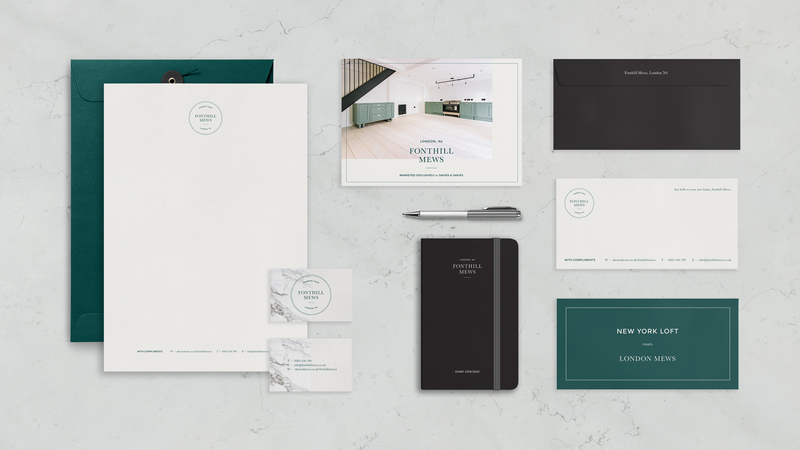 From here we chose a colour palette of steely greys to reflect the industrial elements of the development, complimented with a shade similar to ‘British racing green’ to symbolise the heritage of the mews and representative of the natural materials used in the build. The iconic ‘badge’ logo references London’s famous blue plaques that link people of the past with buildings of the present. A marbled pattern was incorporated into the design aesthetic, inspired by the finishes used in the bespoke kitchens, which were a focal point of each new home. 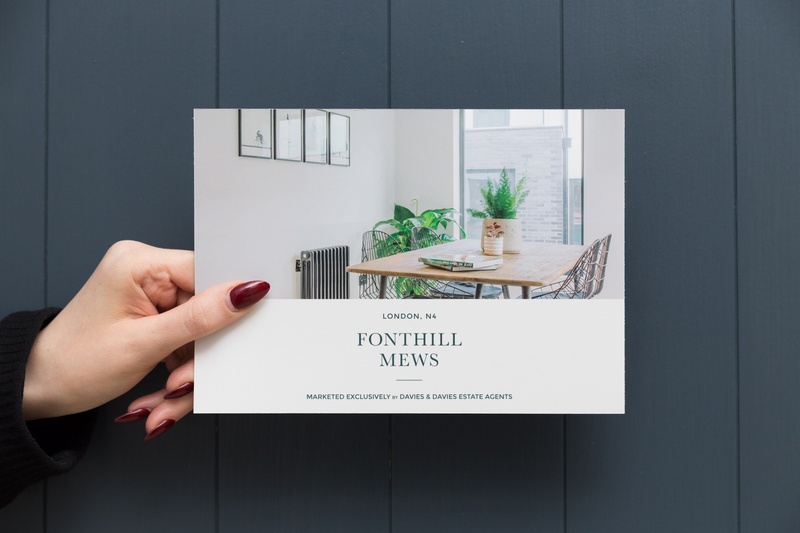 We took an aspirational tone-of-voice, influenced by travel journals, which encouraged the reader to daydream about their lives living in Fonthill Mews. We added a little bit of wry wit subtly throughout the copy, to add a down-to-earth undertone to appeal to the target demographic of millennial professionals. 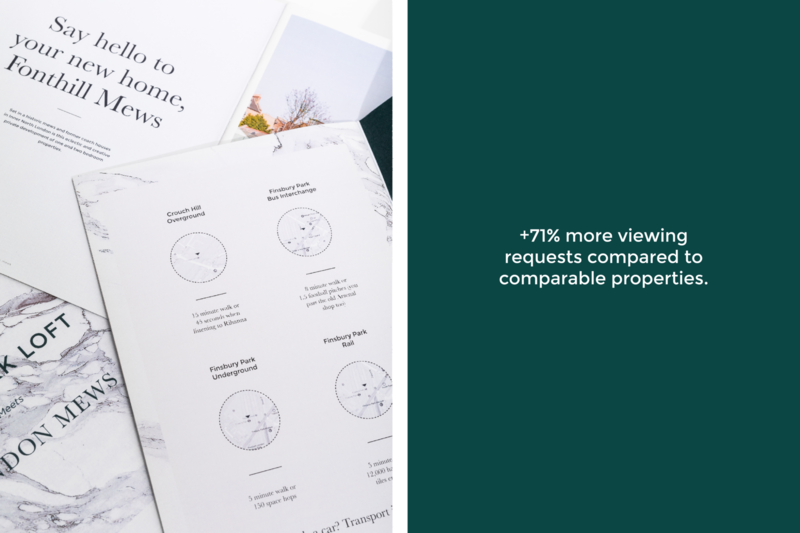 The photographic imagery tells an equally aspirational story, moving through each home as if the reader themselves were exploring it in real life. 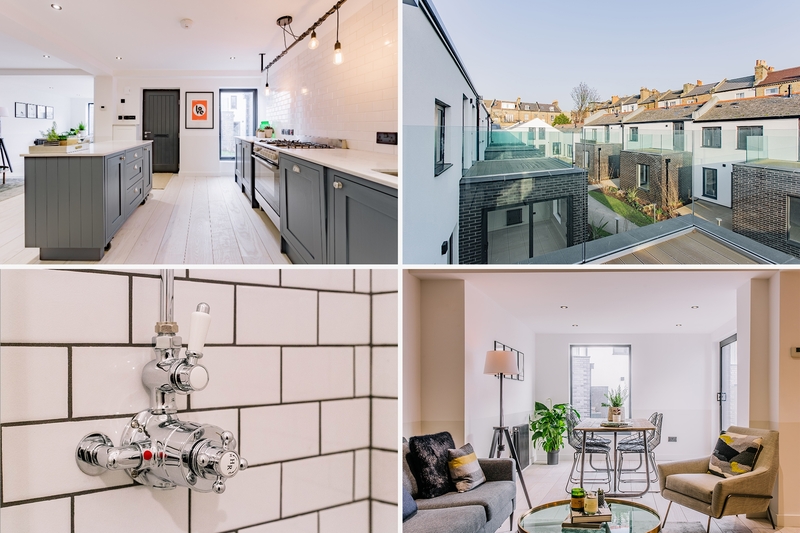 Overexposed, in order to properly portray the brightness of the interiors, each image was processed to be clean yet colour accurate, using unusual vantage points to show off features and an extra wide-angle lens to capture entire rooms. We pushed three core messages as part of an integrated marketing campaign which was spread across direct, digital and out-of-home advertising. 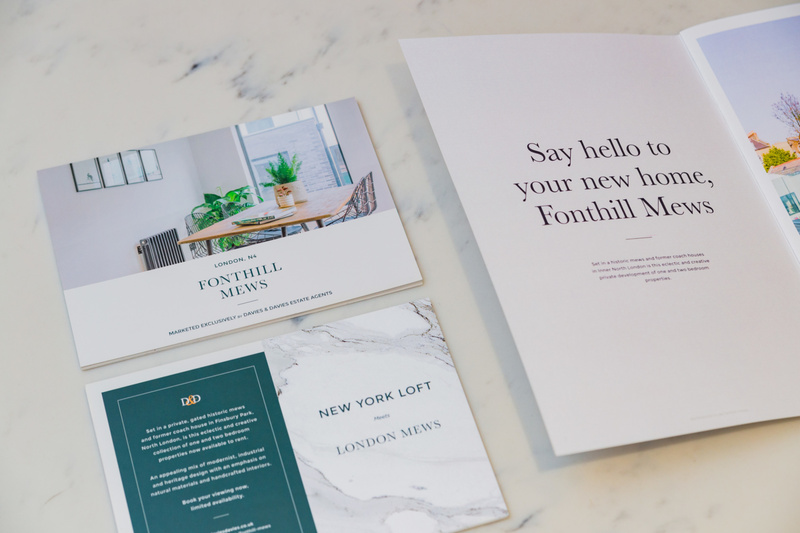 These messages were simple and aimed at engaging the imagination of potential tenants whilst driving the desire to obtain the lifestyle offered by living in Fonthill Mews: ‘New York loft meets London Mews’, ‘let the architecture speak for itself’ and ‘say hello to your new home, Fonthill Mews’. 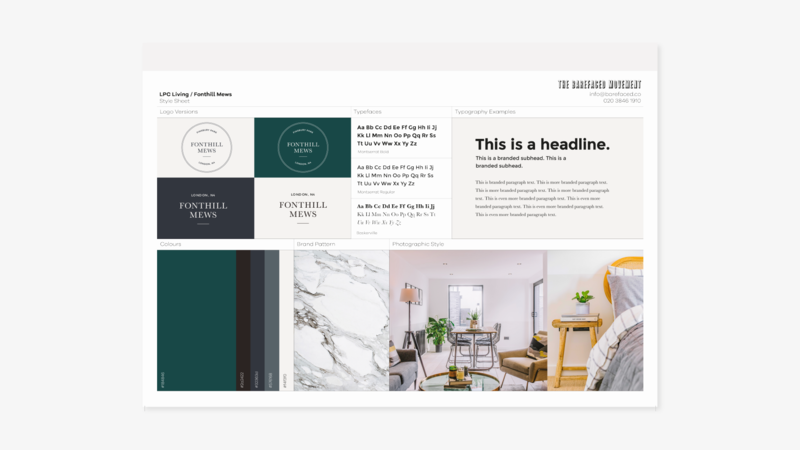 We also built a temporary microsite for the project, with a consistent call-to-action at touchpoints across the entire site. 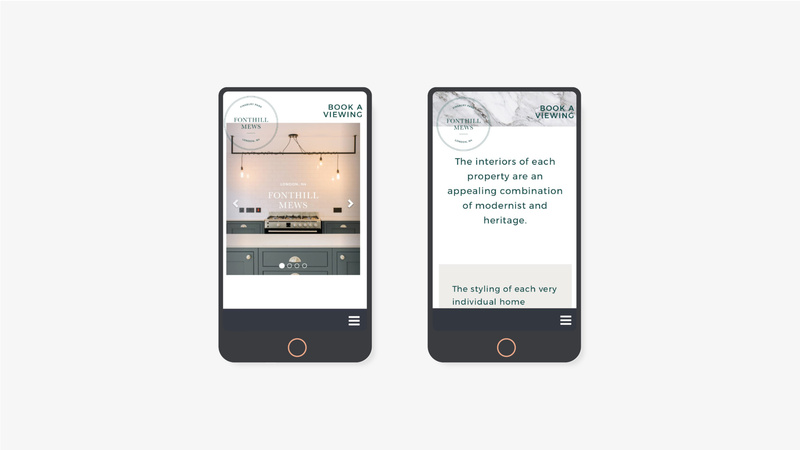 The microsite was hosted within the estate agent’s own website but could just as easily have been hosted as a standalone site.